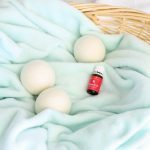 Hands down, these are the best natural products that will not only exceed your expectations, but work even better than the chemical-filled brands you used to love! Nothing is more frustrating than a trail of dirty dishes multiplying across the countertops! 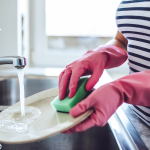 Here’s how to do dishes (and fewer of them!) without spending hours scrubbing and sweating over your kitchen sink. What can you do to make cleaning the shower easier, faster, and not so gag-worthy? 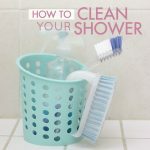 Don’t miss these two surprisingly effective tips on how to clean your shower with minimal effort–plus the only four products you need to beat the grime! 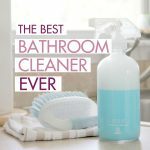 This magical bathroom cleaner powers through soap scum in seconds, and turns one of the germiest areas of your home into a clean and sparkling space! 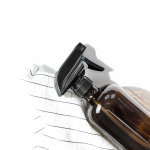 With only two ingredients, and a powerful track record, you’ll understand why it’s called the best homemade shower cleaner EVER. 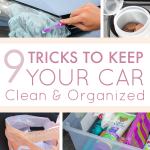 Nothing is harder than figuring out how to keep your car clean all year long. 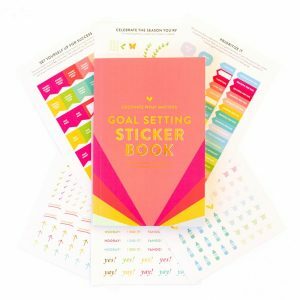 Thankfully, these tried-and-true tips make it easy to stay on top of the mess. No shop vac required! 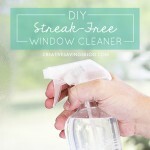 Say goodbye to Windex—this homemade window cleaner works so much better than store brands, and costs just $.12 per bottle! With three simple ingredients, its easy to make, contains no toxic chemicals, and leaves nothing but sparkling glass panes behind. 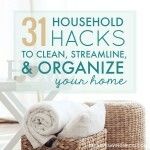 Housework piles up FAST if you don’t have a system for streamlining and maintaining it all. These tried-and-true household hacks come from the best homemakers on the web, and include 31 genius ways to make your home run like a well-oiled machine! Have out-of-town guests spending the night? There’s no need to panic! 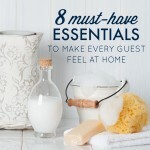 Just stock these 8 household essentials to make your company feel comfortable and completely at ease. #2 eliminates those awkward bathroom moments!